Growing up, most of us wore clothes that were made by our mother or grandmother. I would get such delight in going to the fabric store to pick out my own pattern, fabric and notions for a dress I knew would be a one of a kind. Unfortunately, that tradition has gone by the wayside. Fabric stores have nearly been wiped off the map (let’s have a moment of silence for Baer’s) and people are opting for the convenience of department stores rather than a product from their own sewing machine. Even designers on shows such as Project Runway enter competitions with barely any knowledge on how to construct a garment beyond their sketchpad. But alas! There is a resurgence in sewing and creating clothes among younger generations, namely those among indie culture. Blame it on the desire to be original, Pinterest boards, craft festivals, or just the gumption to say “hey-I –can-make-that!,” but we aren’t complaining about the those ready to get crafty. 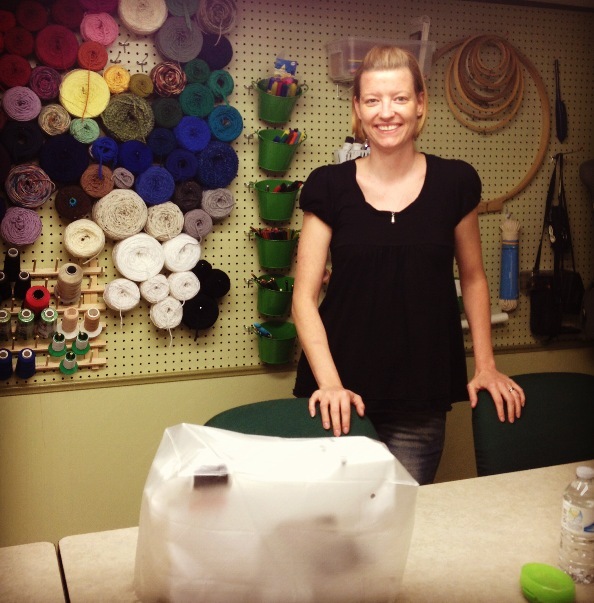 Heading this renaissance of the sewing age is Melissa Allgeier, owner of Gather and Stitch Sewing Classes and Handmade Crafts. 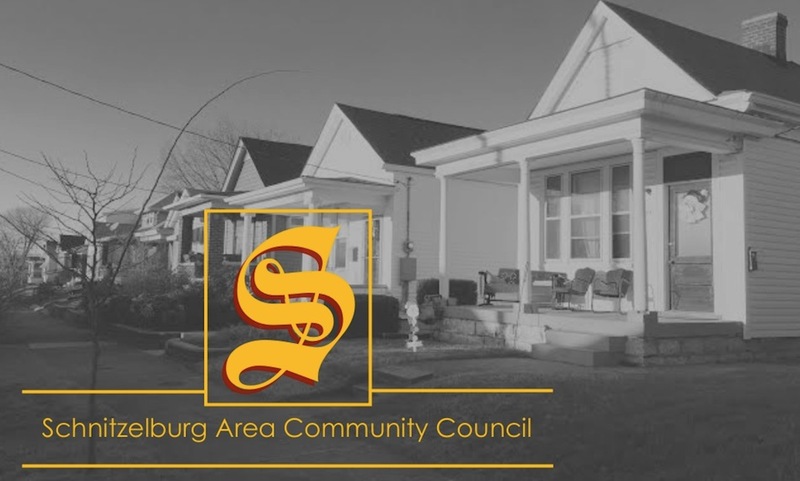 Melissa and her husband, Mark, have transferred the basement of their home on South Shelby into a state of the art sewing studio, in which they offer sewing classes to the community. 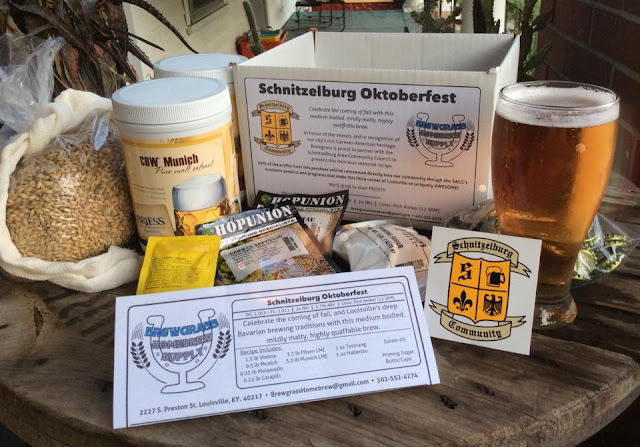 So far business is going well, but the word is just beginning to spread about Gather and Stitch, something Melissa thinks a tight-knit community like Schnitzelburg can really benefit from. We had plenty of questions for Melissa about Gather and Stitch and she was kind enough to sit down and answer them. What sort of classes do you offer? 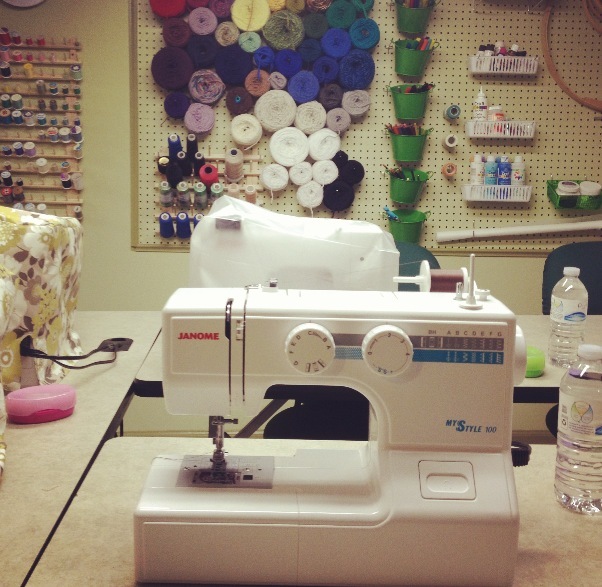 Anything from very basic sewing classes to quilting and alterations. We do some basic clothes making and I have some other crafty type classes planned for the future. Depends on the class. All info is listed on website for each class. How much do classes range? Say someone doesn’t even know how to thread a needle, is there any hope for them? Yes, I can teach anyone to sew. No prior sewing knowledge required. If someone has a sewing machine that they want to learn on, can they bring it to the class or do you do in-home instruction? Yes. I have 6 Janome MyStyles that are provided, but if someone felt more comfortable on their own machine, I would encourage them to bring it to the studio. I just ask that they bring their manual and understand that I may not know how to trouble shoot any issues that arise. What is the climate of your classes? Do people walk out with new friends? Yes! We have SO much fun, you almost forget that you are learning and you just enjoy your time chatting and sewing! Do you make alterations or can anyone commission you for work? I would prefer not to do alterations, but I'm always willing to help in a pinch. I'm happy to help others learn how to fix their own clothing. 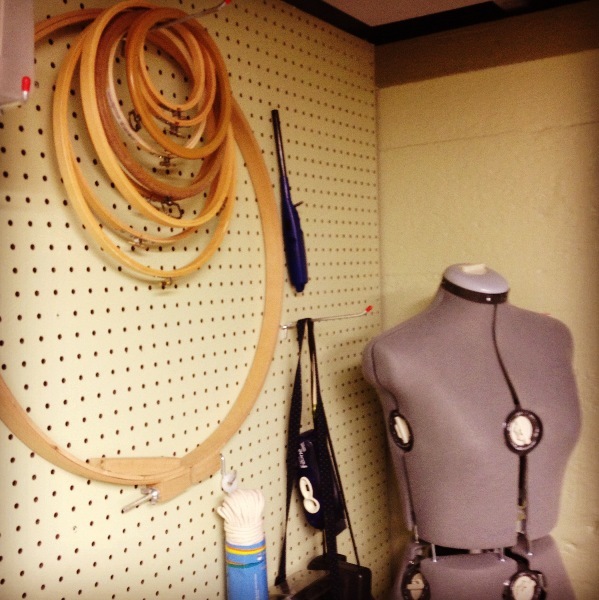 I have a couple alterations workshops coming up that will teach students how to repair and alter their own clothes. What all does your etsy shop have in it? Right now I just have my little girls dresses, but I plan to have more in the future. What role do you see sewing playing in today’s world? The reason I started this school was because I don't feel like the skill of sewing has been passed down to current generations and I want to show people how easy it is. I also wanted to have a place for younger people to gather and learn new things while making new friends. I'm bringing the joy of sewing to a whole new generation! 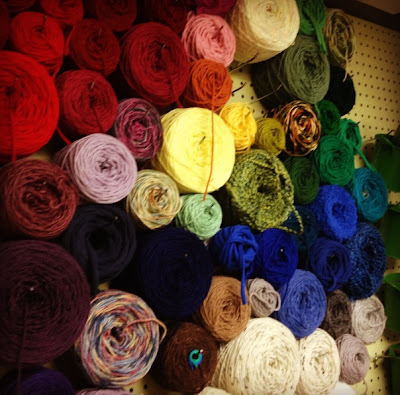 What ignited your passion for sewing and what has kept it burning? My mom taught me to sew in high school and I have been sewing ever since. I love the feeling of creating something out of nothing and telling people that I made the clothing that I'm wearing or my kids are wearing. Nord's is a family favorite and we also hit up Emerson Park a lot. It’s right by a big community garden and has nice new pavilion and pathway. The environment of Melissa's classroom is laidback. A flat screen tv on the wall, water bottles at every station, and a cozy nook for kids to play makes it feel like your best friend is teaching you how to sew in her totally awesome basement rather than a sweat shop for those yearning to learn how to sew. It’s a relaxed environment and a place for women to gather together and….stitch. 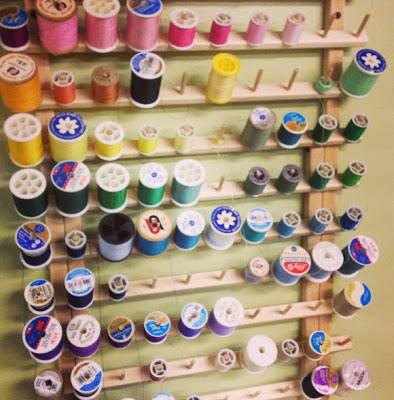 So, if you have always wanted to know how to sew, are interested in crafting a special project, or you want to revive your own sewing skills, Melissa is here to help. You can find her contact information on her website, or by emailing info@gatherandstitch.net.